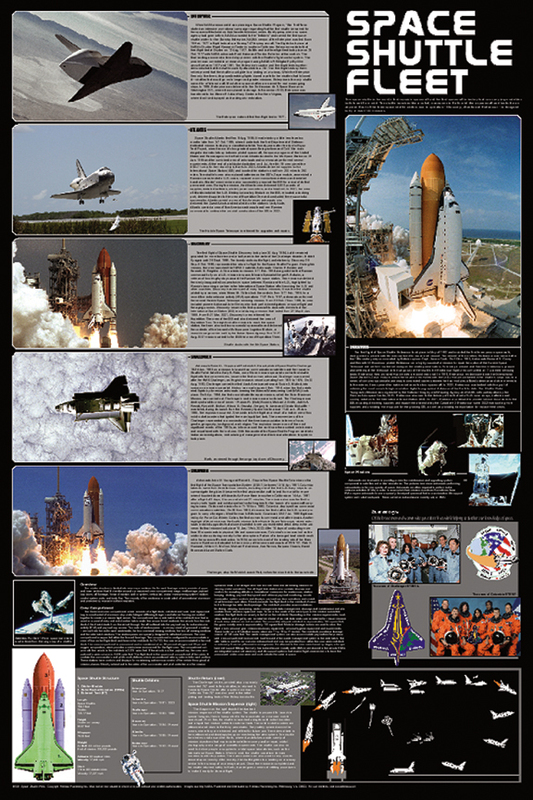 This poster provides a comprehensive overview of the American Space Shuttle Program. Each of the six shuttles (Enterprise, Atlantis, Discovery, Columbia, Challenger and Endeavour), is shown, accompanied by a brief history. Also provides a shuttle mission profile, parts of the shuttle and more. Special section honors the two lost crews.